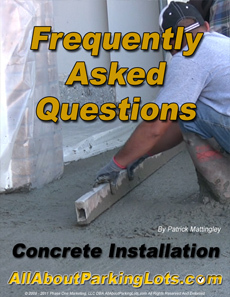 Here are some of the most frequently asked questions about concrete parking lot maintenance. If you have a question that hasn’t been answered, please ask a question in the comments box below or Contact Us Here! How To Clean Oil Spots On Concrete?